eCheck casinos – Are they safe? An eCheck is, simply put, an electronic check. Payment made via eChecks take 3-6 business days to get credit to the recipient’s account. eChecks are secure, faster than the paper checks and also an efficient way to transfer money. In today’s fast paced life, eChecks are gaining popularity where online payments are concerned – you can issue an eCheck from any where at your convenience without having to visit your bank as long as there is money in your bank account. eChecks are also your best hassle free option if you have a recurring payment. Why use the method and where? An eCheck works just like a regular check – the only difference being the person who is making the payment with issue the eCheck using an electronic medium and then send it to the payee. The payee’s account gets credited after the eCheck is cleared by the issuers bank. Banks usually charge a transaction fee for processing an eCheck request. Despite eChecks using an electronic medium, its an absolutely safe and secure method of payment for the simple reason that banks have the most secure systems which are impossible to breach. Moreover, nearly all casinos today use the latest SSL technology in order to safeguard their clients’ data and to protect their money. Keeping all this mind, there is absolutely no reason to be apprehensive about eChecks. There are very few, if not none, casinos which do not accept direct bank to bank payments and hence there are no problems in funding your eCheck casino account using an eCheck. 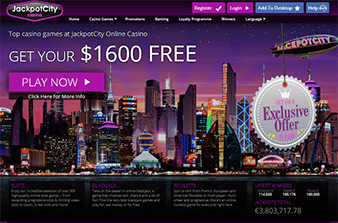 However, its best to check the payment options available as they do differ from casino to casino. What are the Pros and Cons of the method? Traditional paper checks take a long time to clear (sometimes upto 10 days), clearance of eChecks on the other hand is faster (upto 4 days). Number of people involved in the clearance process of an eCheck is less and hence the corresponding charges are less. The privacy of the player is maintained. In the absence of a credit/debit card, you can make your online casino payment through an eCheck since it is an electronic transfer. Not only in the case of the issuer, but the transaction fee is lower for the payee too. The possibility of fraud is greatly reduced. As its an electronic mode of payment, there are lesser chances of human error. As the credit is not immediate, you have to wait for a couple of days before getting access to your online casino games. In case of cancellation, the issuer does not get a copy. In case of any dispute, the issuer has to wait for almost 60 days before filing a complaint. Just like a paper check, the eCheck too bounces due to insufficient funds. Using eChecks to fund your online casino account is kids’ play – the only basic requirement is that you need to have bank account with internet banking facility tuned on. While making the payment, you need to select eCheck as a payment option. This in turn will open another window where you are required to fill in your bank details, viz account number as well as the routing number and the amount that you would like to transfer to your eCheck casino account. The bank sends you a verification code through a mobile text message which also needs to be filled in. Once the transfer advise has been accepted, you will receive another text confirming the same. Please note: Payments made through eChecks take a couple of days to reflect in your casino account and hence, you will be allowed to play only once that is done. It is not possible to make a withdrawal of your winnings using the eCheck facility as the casinos prefer direct bank transfer or at times even wire transfer as far as payouts are concerned. It would be advisable to enquire with the online casino’s accounts team, whether they permit withdrawals to eChecks even before you make the initial deposit to avoid any dispute at a later stage. Direct Bank Transfers: The oldest and perhaps the safest method of transferring funds to your eCheck casino account. Though cumbersome the first time around owing to the account details that need to be furnished, direct bank transfers can be advised at any time of the day from your mobiles or desktops. Since you can transfer only how much cash is available in your account, this method helps keep a check on your spending as well. Banks do not have an upper limit and therefore this method of payment is quite popular amongst the big players. The only hitch is the processing time required by bank to credit your eCheck casino account – different banks have different time schedules and this at times could be a deterrent. Credit/Debit Cards: Funding your online casino account via your credit/debit card is the most convenient and easiest method as almost everyone has either a credit or a debit card now-a-days. Once again, you cannot exceed your credit limit in the case of credit cards and nor can you transfer a higher amount than what is available in your bank account if you opt for using your debit card. That being said, payments made by this method are immediate and safe. Before initiating payments to your online casino account, it is important to check if your card has an international payment option. However, please note that you cannot withdraw to either of these cards. Withdrawals will either be by a check sent to your registered address or a direct bank transfer done by the casino to your bank account. eWallets: eWallets are mobile wallets where you can store and easily access money whenever you need it. As it is an internet based concept, its popularity has grown tremendously over the years with the ever expanding internet shopping boom. Opening an eWallet account is hassle free and does not require countless forms to be filled in. You can start funding you eWallet as soon as you open the account as well as start making payments/transferring money from your eWallet to other accounts without losing any time. However, some of the eWallets are quite apprehensive about making payments to gambling sites and even receiving credits from them. It is therefore advisable to verify whether your eWallet allows payments to or withdrawals from your eCheck casino. PayPal, Netteller, Skrill are some of the most popular eWallets in use across the globe today. eChecks are the perfect alternative for those players who are apprehensive about using their credit/debit cards to fund their online casino accounts. Even though the process takes longer,eChecks are safe and secure as both banks as well as the online casinos have state-of-the-art security systems to protect their customers’ personal as well as financial data. eChecks are growing in popularity and more and more online casinos are open to accepting them today.